Maryland has a gorgeous coastline, and one of the best ways to experience it is with Ocean City timeshares for sale. A Saint Tropez Condominium provides guests with all of the latest amenities and facilities to ensure an unforgettable stay. Ocean City, Maryland is one of the most famous coastal destinations on the East Coast. Known for sunny days, friendly locals and an endless variety of attractions, this just might be the perfect place to take the family for a yearly vacation. You'll love the boardwalk, and the beach is among the best that you'll find anywhere. Rent a boat or take a chartered fishing adventure. Try riding the waves or enjoy some popcorn while strolling with the family. You can visit museums, do some shopping or just be lazy. In this coastal town, anything goes. Saint Tropez Condominium is in the center of it all, providing newly renovated timeshare accommodations and a variety of welcome amenities. The sparkling outdoor pool is next to the beach. Take a dip or just relax in one of the loungers. Laundry facilities are available to all guests, and pets are allowed, so the whole family can get in on the fun. Guests will find opportunities to play golf, tennis and racquetball within an easy distance of the property. 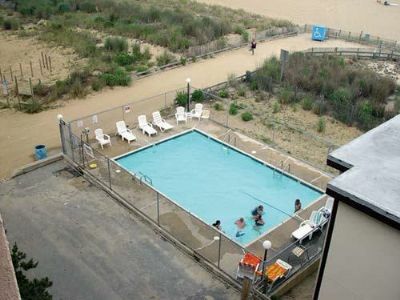 These Ocean City timeshares for sale boast all of the comforts of a vacation home and then some. Fully-stocked kitchens have full-size appliances and full collections of utensils so that you can prepare every meal if you choose. You'll find a breathtaking view on your private, oceanfront balcony. 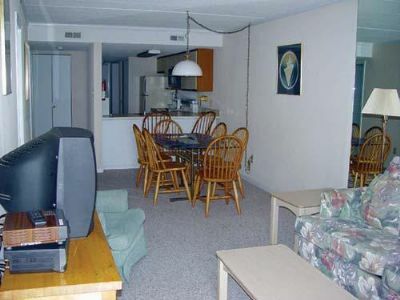 Units have either two or three bedrooms. Master bedrooms are equipped with a king bed and private bath. Beautiful bathrooms have updated fixtures, and the stone tile in the showers is an elegant touch. The rooms are generously proportioned to allow the whole family to relax in style. 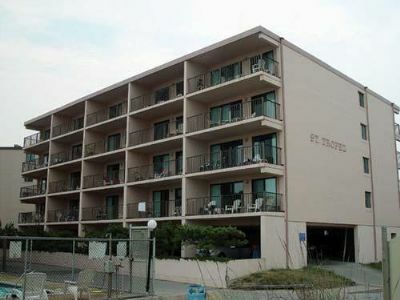 Saint Tropez Condominium has it all when it comes to a coastal vacation property thanks to its easy beach access. The views and location are second-to-none, and you will love the cozy and comfortable accommodations when you buy these Ocean City timeshares for sale. Contact Saint Tropez Condominium Specialist Today!